ID Silk Water Based Lubricant 4.4 fl oz. 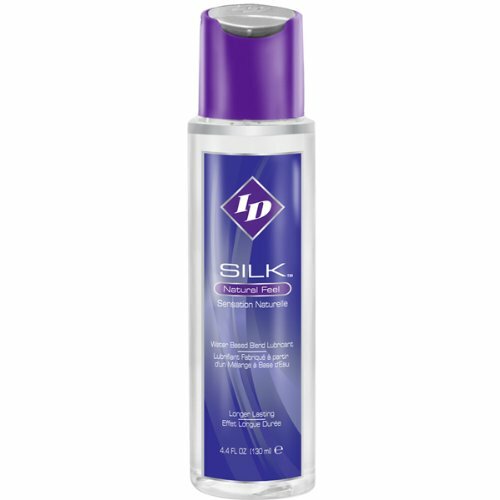 ID Silk Natural Feel Lubricant - 4.4 oz Flip Cap Bottle for easy dispensing. Enjoy the ease of a water based lube with the slickness of a silicone lube with ID Silk! Slippery and smooth, non-tacky and long lasting, ID Silk effectively blends the best qualities of both lubricants. Easy to clean after use, ID Silk leaves skin feeling supple and smooth. Non-staining and latex safe, ID Silk is excellent for massage, too! Natural feel. Latex compatible. Silicone and water blend. Enhances masturbation.